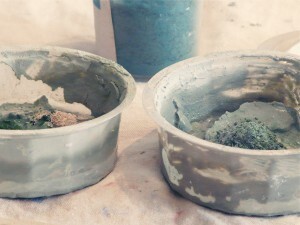 I love spending time on making colors: mixing the clay powder with a variety of ceramic pigments and water. Magical! It looks a bit like cooking, I only wouldn’t dare to taste this mixture! 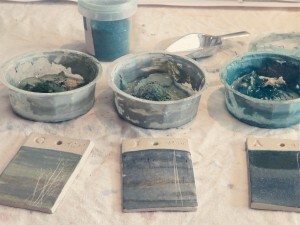 Different kind of greens with a spoonful of grayish blue are my favorite colors. As well as old pink, as you will discover below. However, these colors will definitely change once they are fired. 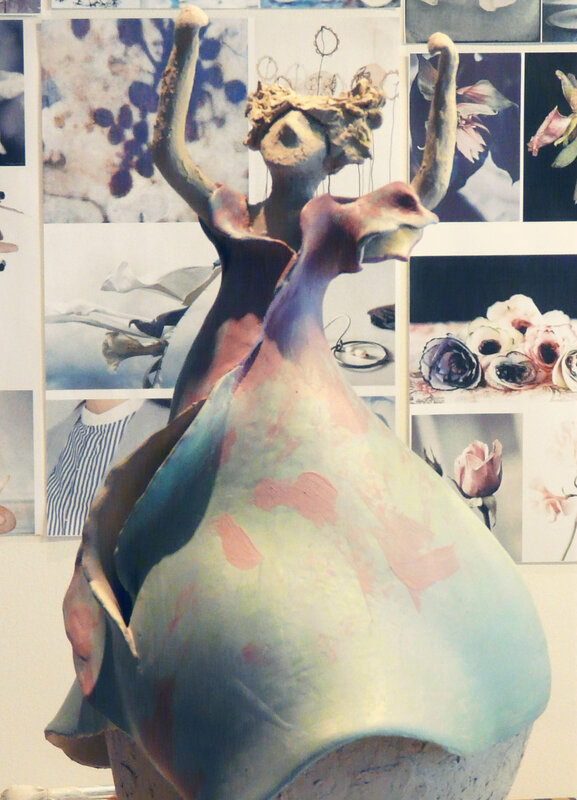 I always feel some excitement when I’m about to open the kiln. It can be surprising! 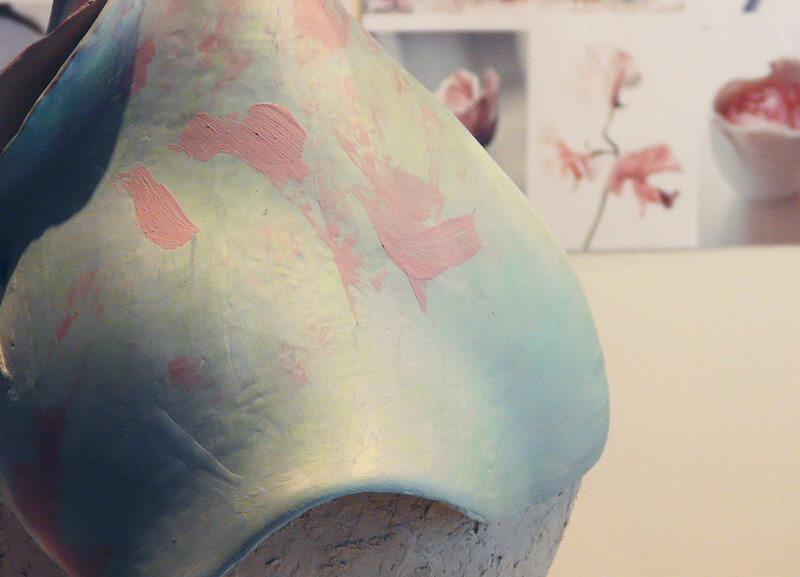 A new sculpture is colored with a touch of old pink, also one of my favorite colors. In the background you can see some pictures of my mood board with of course a lot of pink images! until the colors will come to life!